How to Make WhatsApp Sticker. WhatsApp recently added share ‘Stickers’ feature on its platform. WhatsApp users like stickers because stickers come with photographs, sketches, and graphics. WhatsApp users express their point better using the sticker. After launching the WhatsApp sticker feature, many third-party stickers app added on Google Play Store. Now you can also make WhatsApp sticker in a few steps by yourself. Users should have some coding to make the WhatsApp sticker. However, some third-party apps have made this work even easier. You can follow the steps given below and make a WhatsApp sticker according to your mind and send your friends. For this, you need to install the latest version of WhatsApp which supports the sticker feature. If you have the latest version of WhatsApp and you do not have sticker option, then you have to activate WhatsApp sticker feature yourself. When you get the sticker option, then you follow the steps below to create a sticker. Make Your Own WhatsApp Sticker. Follow These Steps. 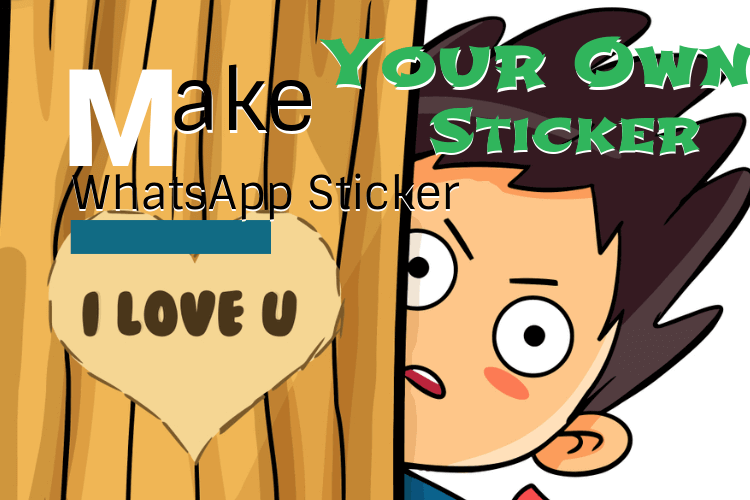 Visit the Google Play Store and search “Sticker maker for WhatsApp” app and install on your mobile. After installation, open the app and click on “Create a new stickerpack” and enter the name of the sticker pack. As you open the sticker pack, you will see a blank screen. There will be a “Tray icon” In which a third-party stickers place it in a sticker pack. Tap on “Tray icon” you will ask for a camera usage permission. This permission sought to use the photos and videos in your device. You have to Allow this permission. Now you have to go to the “Select File” option to open your picture or take a new picture through the ‘Take Photo‘ option. After doing this, you need to select that area that you want to keep as a sticker using the outline. Use your finger to make an outline. Now you have to click on “Yes, Save Sticker” an save your sticker. You can add any sticker according to your mind inside a sticker pack. You can add up to 30 stickers in one sticker pack. After adding the stickers to the sticker pack, you have to click on “Add to WhatsApp” button. After pressing the “Add to WhatsApp” button, the sticker pack added to the WhatsApp.